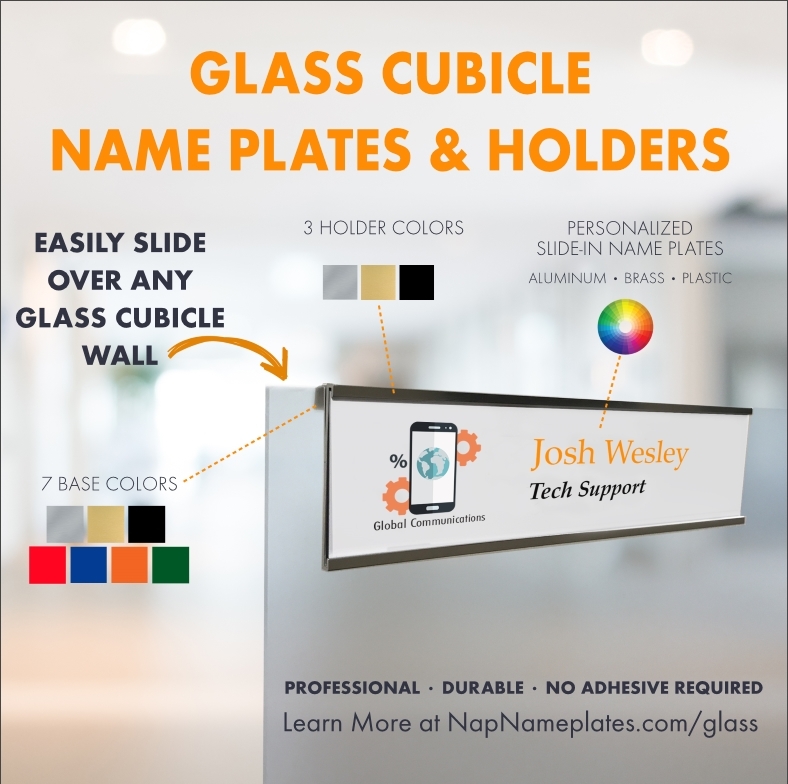 A professional name plate holder for glass cubicle walls that slide over the top! Name plates (not included) easily slide into the holders that slide over the top of any size, glass cubicle wall partition. They can be changed or moved quickly – no adhesive needed! 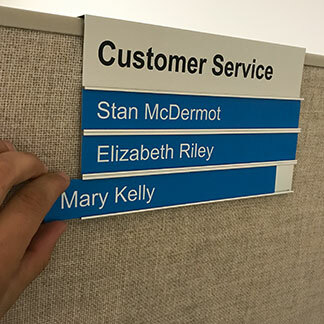 Personalized nameplates easily slide in and out (not included). 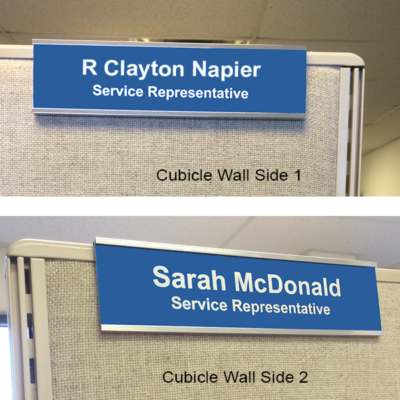 Better than traditional cubicle name plate holders, these name plate holders always look great and never damage your walls. 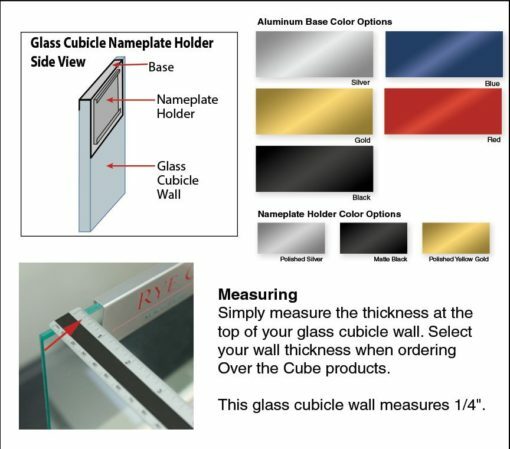 IMPORTANT: Measure the width of your glass wall thickness and select below. Call to order if your measurement is not listed. All Over the Cube products are made-to-order, custom sized, and therefore NOT returnable. 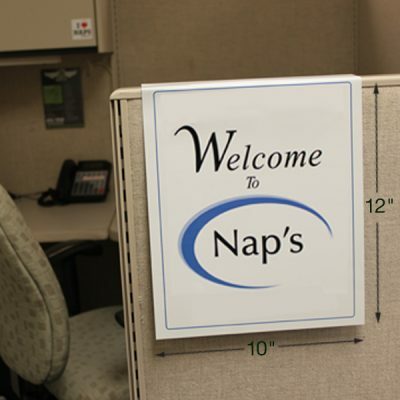 NOTE: Call to order if your cubicle thickness is not listed. Minimum cubicle wall thickness is 1/4″. 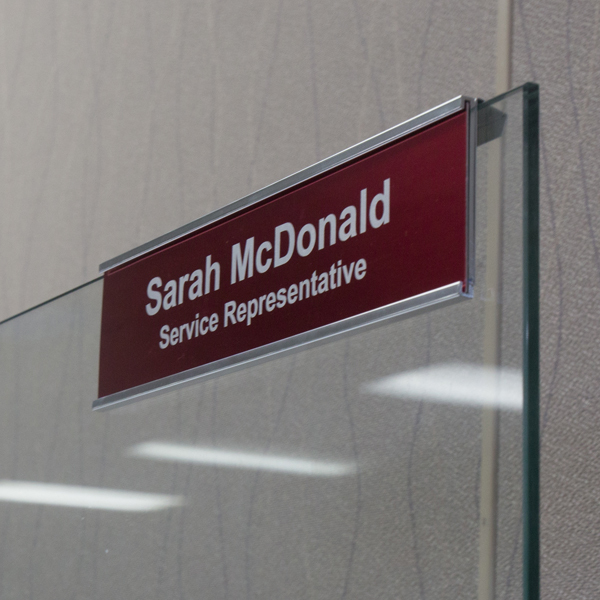 Size of Nameplate Holder Choose an option10" x 2"8" x 2"